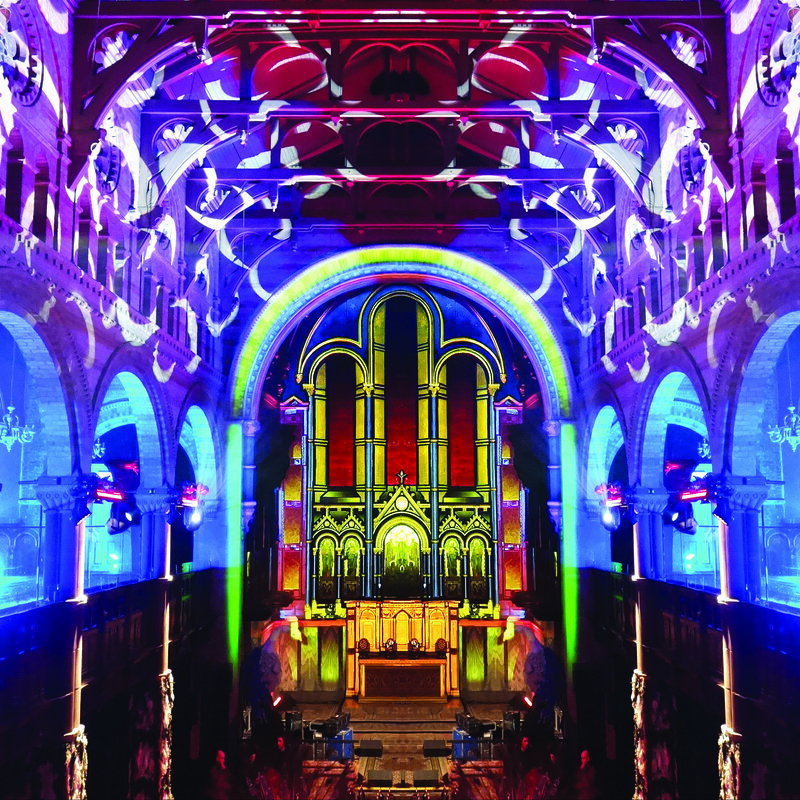 Rupert Newman creates bespoke light shows that transform bricks and mortar into fantastical worlds where anything is possible. Here Vogue’s ‘King of Projections’ sheds light on his unusual art form – and why funerals might just be the next big thing. What exactly is projection mapping – and what does a light show involve? It’s a bespoke lighting design that wraps around buildings and plays out like a film. I use animation software to bring my designs to life and layer them together to extraordinary effect. Every show is tailor-made and can last anything from seven minutes to seven hours, often synchronised to music. I collaborate closely with a team of animators, composers, concept designers and video editors to ensure an out-of-this world result. How did you find yourself in this industry? My background is in printed textile design but I decided to transform the application of my work and project onto architecture instead. I started VJing at festivals such as The Secret Garden Party with a really small projector but it became so popular I soon had to invest in a larger one. The rest is history. What sort of events do you work on? My work is often commissioned as a surprise – the unexpected climax to an evening. From a wedding present, to a birthday gift, guests rarely know what is about to happen and a light extravaganza becomes a great talking point. 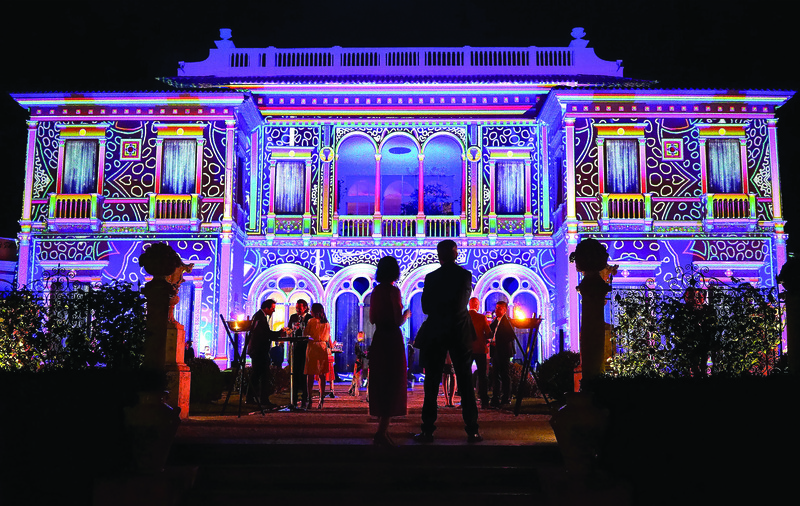 I look forward to illuminating Villa Rothschild in Nice for a spectacular wedding this year but my work is great for branded events too – I’ve designed for the likes of Warner Music, Yahoo, Pinewood Studios and Dom Perignon. How have you collaborated with Marble LDN? We transformed a double width Victorian house into a canvas for projections, with a 10-minute show that included three songs synched to visuals. The brief was open so I could have a lot of fun playing with dragons, and eagles flying through infinity. The show finale saw the house crumbling down to reveal a projected firework display. Are there any rules that you implement for designing an installation? I require two components to create a successful show: a building façade with architectural features and enough space in front of that façade for the audience to stand and enjoy the show. I like to deliver my visuals in the same way that music is produced, using three to four layers of sounds. How have you seen the events industry change? It is now a fantastic platform for creatives to showcase their work: from set and stage designers, to light designers and experiential designers – not to mention musicians and florists. Technology has advanced too. Projectors are now brighter and designs can be crisper than ever before. 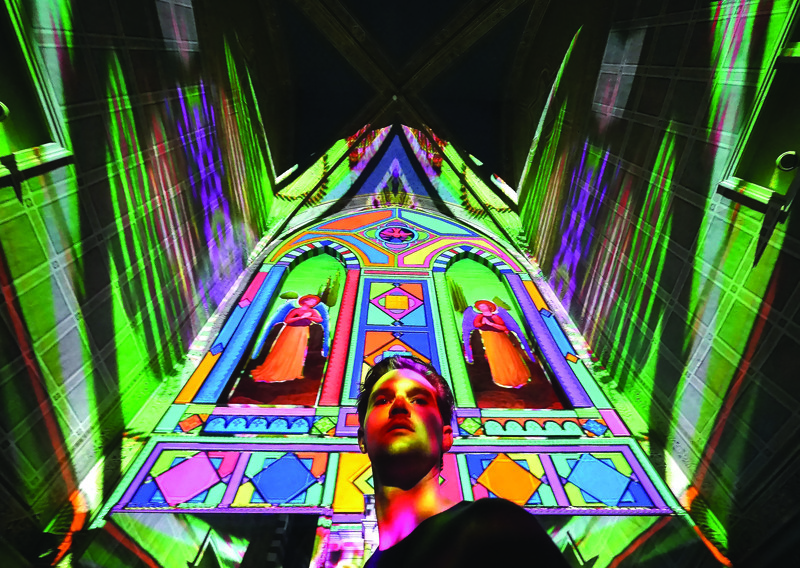 What does the future hold for projection mapping events? If weddings have become ‘designer’, can funerals become designer too? Imagine bringing someone back to life with a projection.